The boxwood shrub, that tiny-leaved evergreen that you see planted in rows as a hedge, was an essential plant in the English garden. 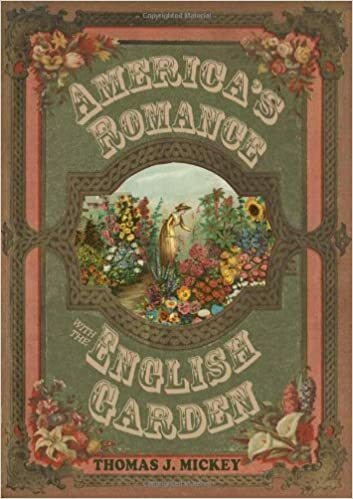 Gardeners used it for edging areas of both lawn and flowers. Recently I visited the Filoli Gardens in Woodside, California where I saw boxwood used as edging throughout the garden. 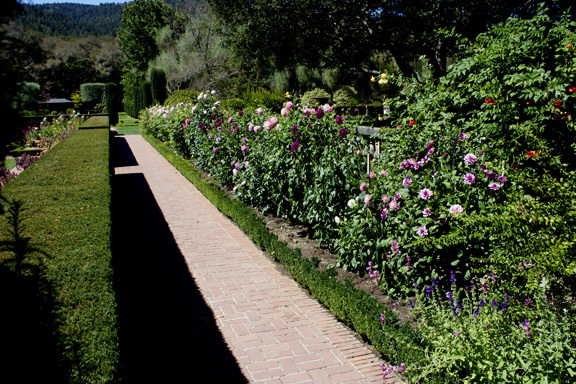 Filoli’s garden design represents the classic English garden estate style, popular in America by the end of the nineteenth century. Boxwood edging [right] I saw recently at Filoli Gardens in Woodside, California. Meehan of course wanted the edging to be even in height and width for that proper look to the garden. 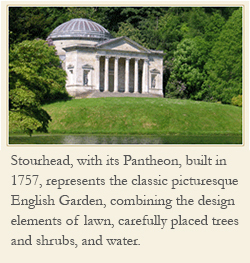 He saw box as essential to the garden, whose design had to be in the English tradition. Filoli maintains its gardens of trees, shrubs, perennials, and annuals with the utmost care of many volunteer gardeners. They do a spectacular job. The boxwood edging throughout the property would make Meehan truly proud. But what about the coming of the Boxwood Blight? It’s slowly advancing from east as most blights do, and will eventually give gardens such as the lovely Filoli a major headache…. Beth, just learning about the Boxwood Blight. People at UNH Extension here know about it and its effects but I have found that otherwise people in general are not really aware of it. Thanks for bringing it to my attention.